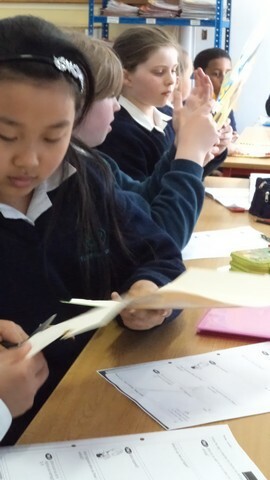 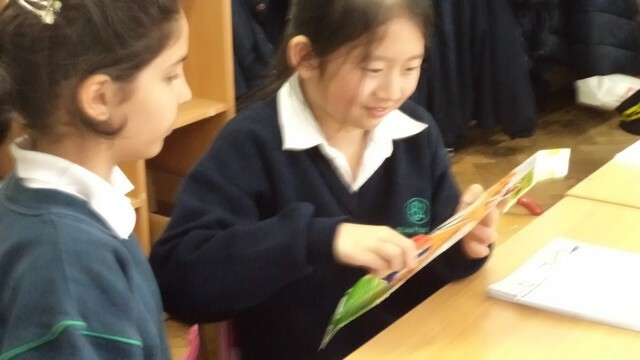 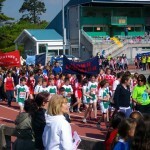 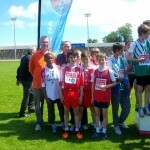 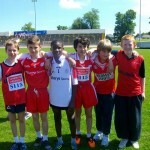 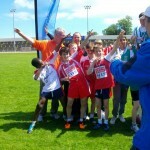 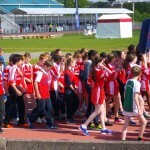 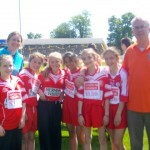 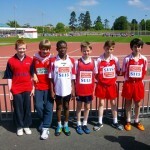 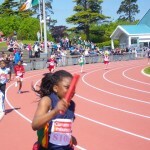 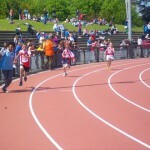 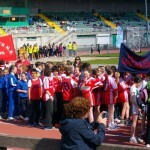 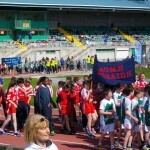 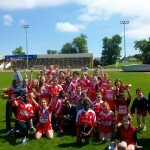 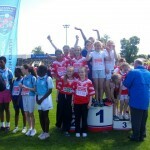 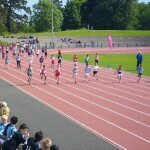 This week lots of boys and girls went to compete at the Santry sports tournament. 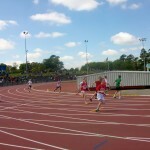 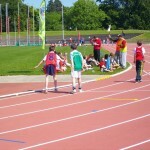 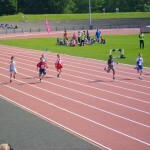 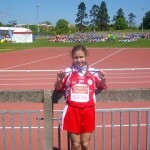 sprints, 500m races, relay races, high jump, long jump, hurldes and shot putt. 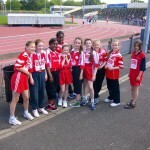 Well done to all the pupils who trained hard for their events. 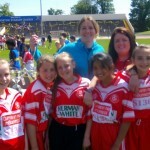 Well done to Mr. Bermingham for organising everything!! 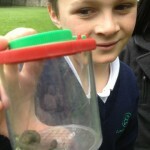 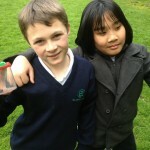 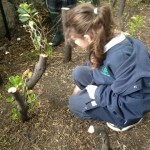 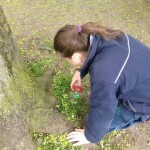 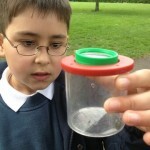 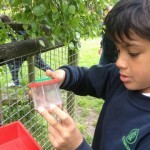 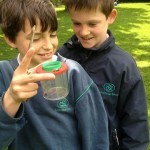 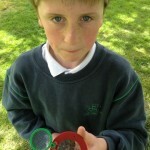 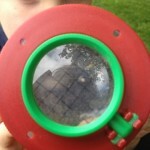 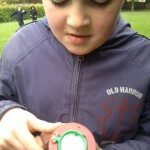 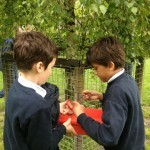 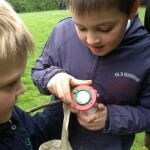 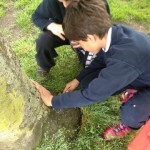 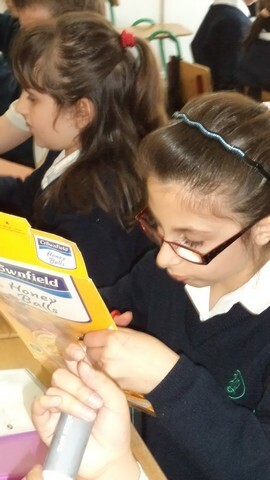 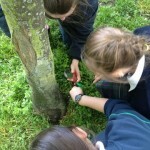 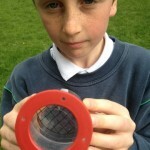 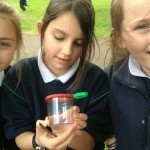 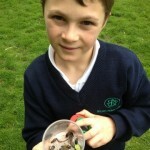 The boys and girls in Room 7 were lucky enough to go on an outing to a local park with ‘Mouse’. 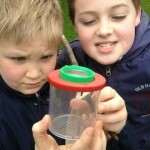 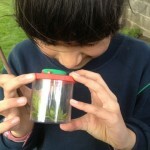 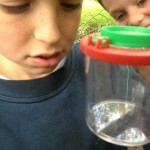 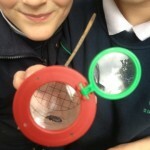 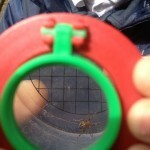 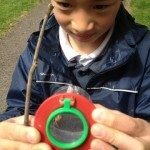 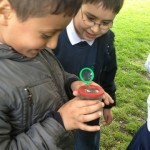 They discovered lots of bugs and wildlife there. 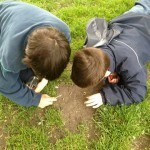 They used all of their SESE skills on this trip! 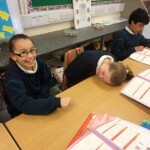 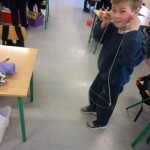 Room 15 have been learning about sound. 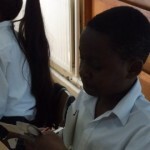 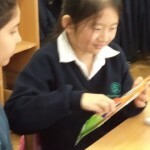 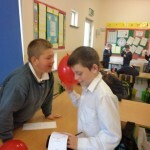 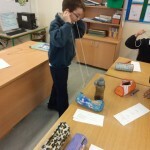 This week we completed some fun sound experiments. 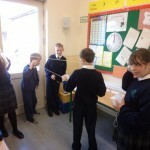 We discovered that we hear sound through sound waves. 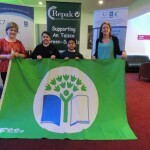 St. Louis are awarded their 5th GREEN FLAG!! 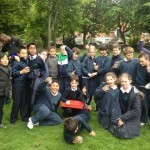 The boys and girls in St. Louis have been working on their 5th Green flag. 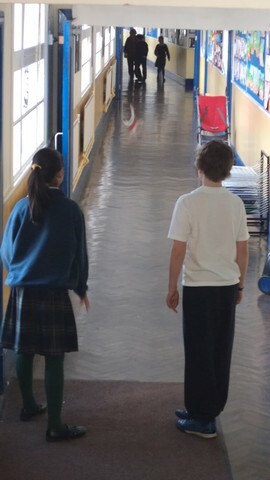 This flag was all about Global Citizenship. 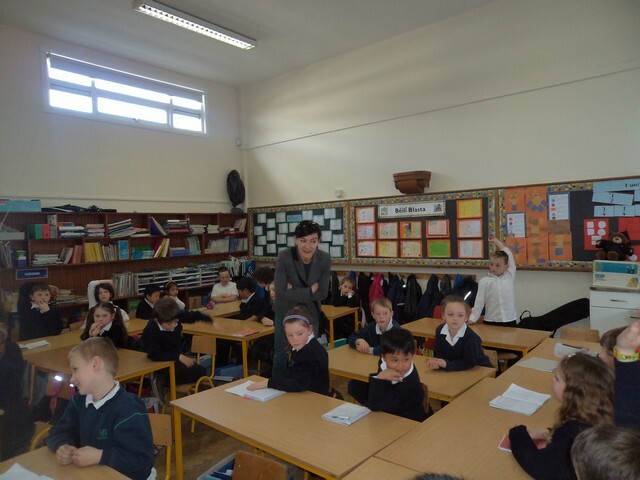 Under the guidance of Ms. O’ Halloran, Ms. Cunningham and the Green Committee the school was successfully awarded the flag. 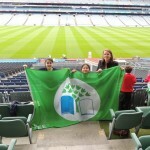 Some representatives of the committee went to Croke park to receive the flag. 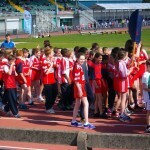 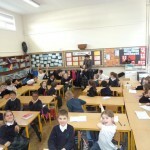 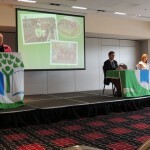 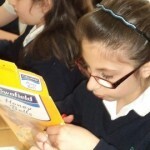 Well done to everybody involved – it is a fantastic achievement for our school!! 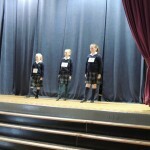 Ms. Hanrahan invited parents and friends to Halla Cullen to be a part of the Feis Damhsa this year. 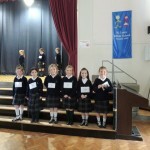 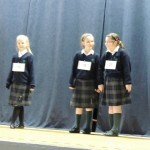 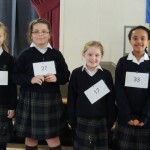 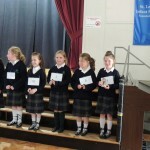 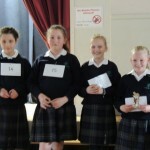 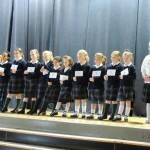 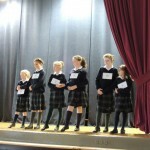 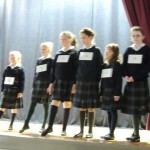 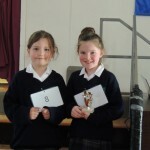 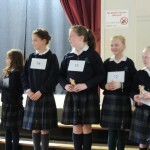 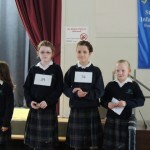 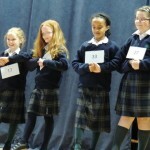 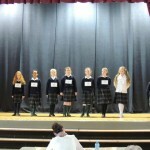 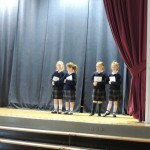 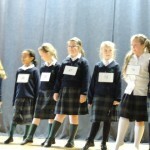 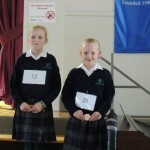 The girls from the Irish dancing class all took to the stage and displayed some fantastic talents. 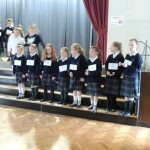 Well done to all the dancers and to Ms. Hanrahan. 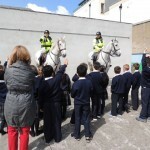 Ms. Hanrahan’s class were lucky enough to go and meet the Garda and the horses from the horse unit. 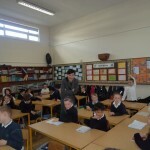 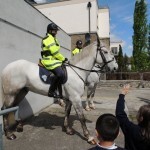 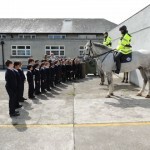 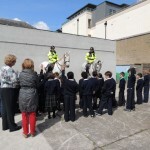 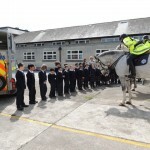 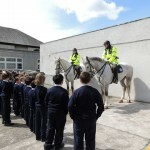 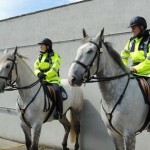 The learned about how the horses help the Garda to protect the people of Ireland. 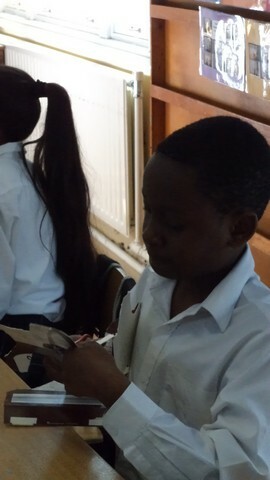 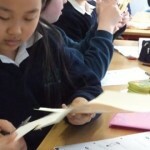 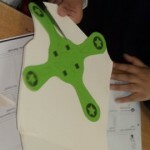 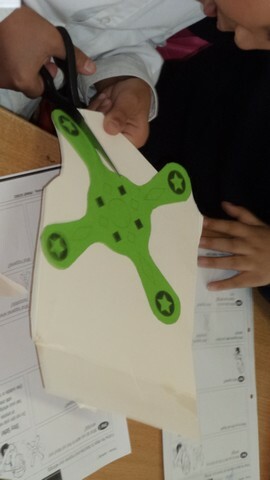 Room 9 constructed ‘whirligigs’ using card. 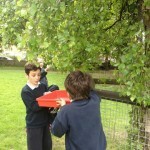 They discovered that the ‘whirligigs’ could be moved by using force. 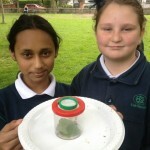 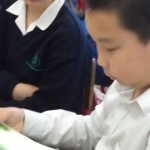 They experimented by throwing them vertically and horizontally. 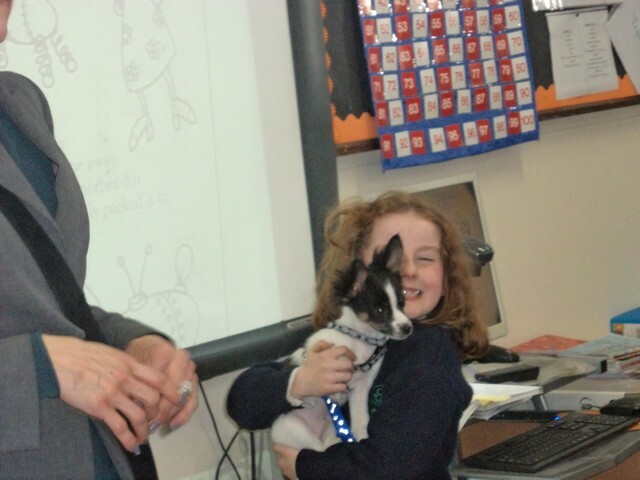 Another special visitor to Room 2! 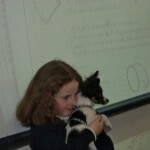 Tuccia’s dog, Sammy and her mum came to visit Room 2 today. 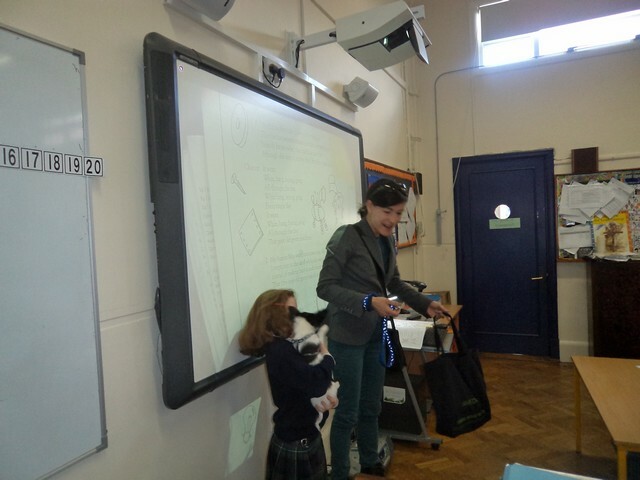 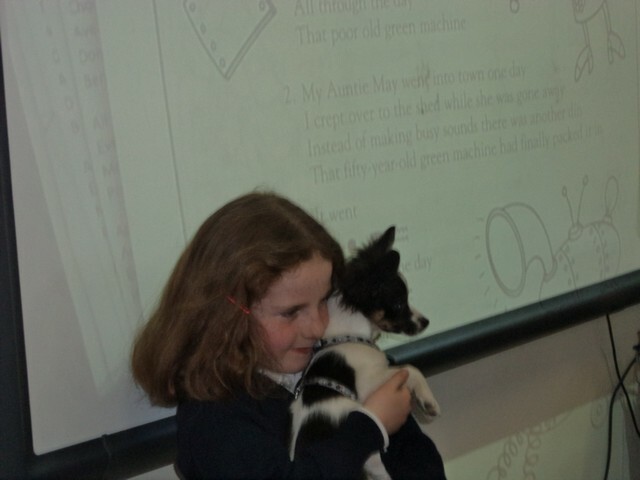 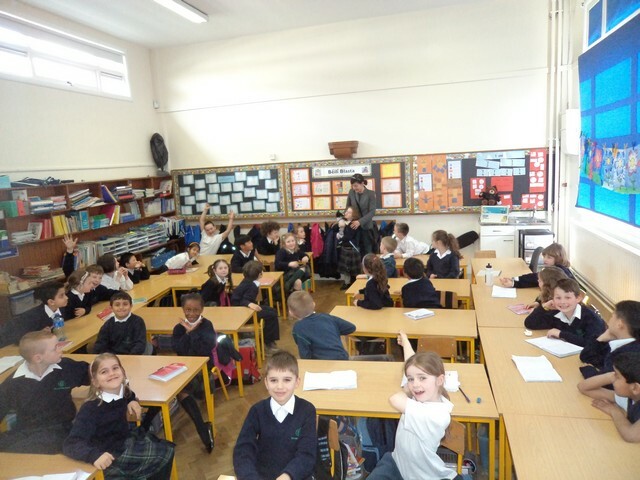 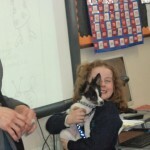 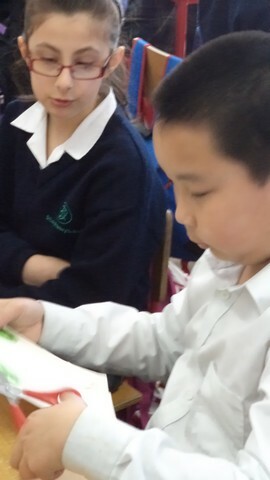 We learned lots of interesting things about dogs and how to care for them. 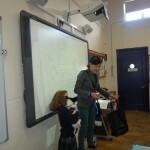 A big thank you to Tuccia’s mum and Sammy for the visit.